We are still trying out lots of things. Trouble is it takes a day and a night to see and touch the result. It is like we are moving in slow motion. I have tried some more complex patterns and trialled some tack fusing at 735 for 10 mins hold. It gives a smooth but crisp look. 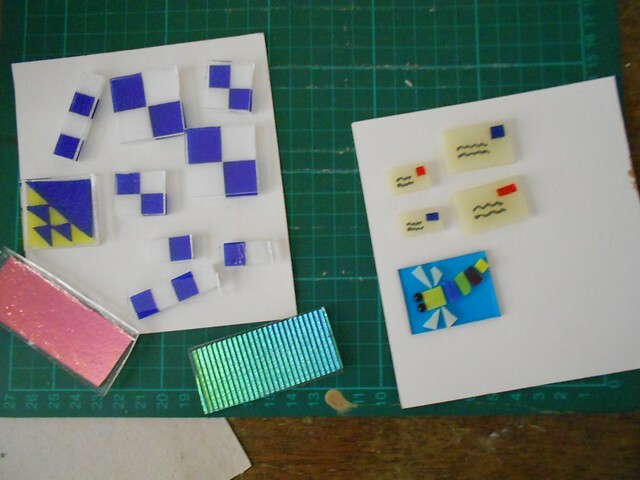 Here are some bits and pieces waiting for the kiln. I got the idea for the dragonfly from Pinterest. Here are some of the pendants I have been making. 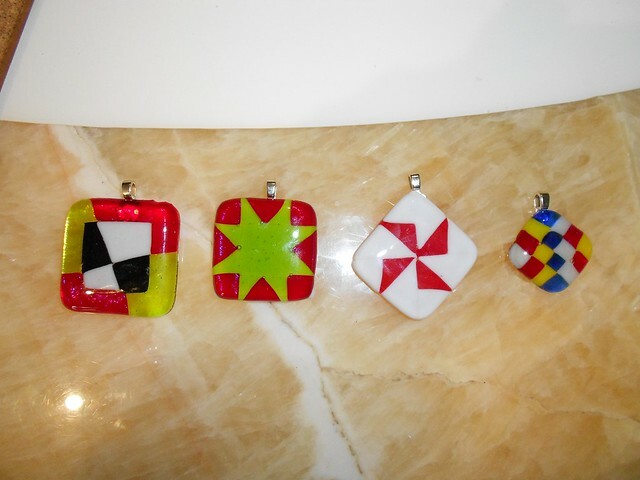 I have been searching with lots of different search words to try to find quilt related pendants or jewellery. There is some mosaic sort of patchwork out there but nothing complex. I also found a gift shop in the US that sells several different simple block patterns but they look like he used his scrap glass to make them. They didn't seem very colourful.